Accumulo: turns your website into an AllTop clone. 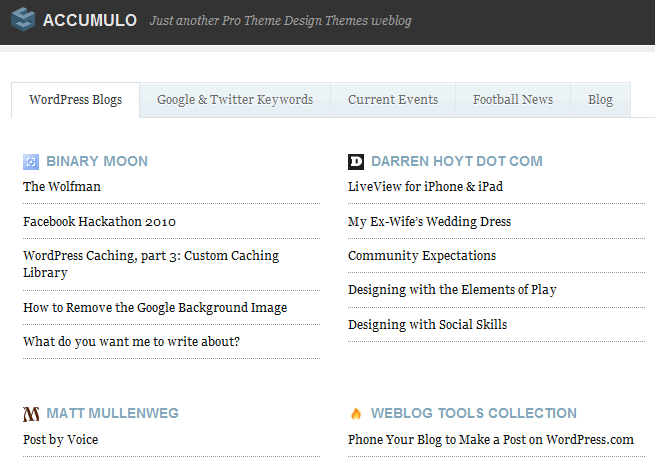 Gives you an easy way to organize all your feeds or build an AllTop like portal. 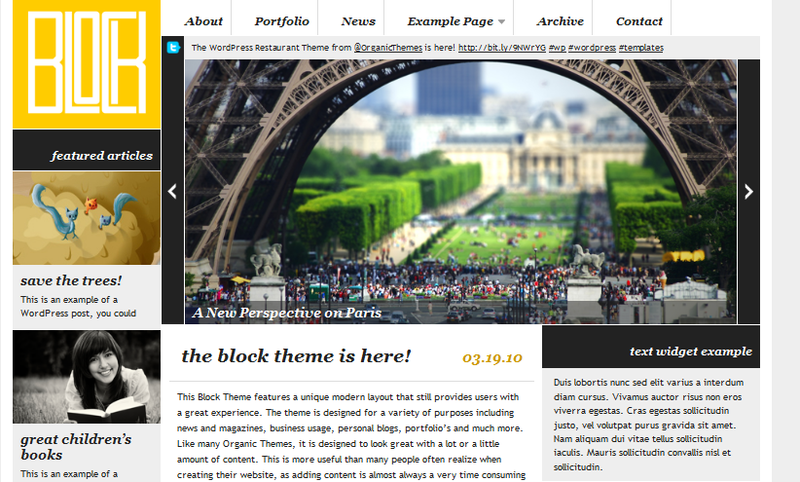 Block Theme: a super attractive and clean theme for blogs and portals. 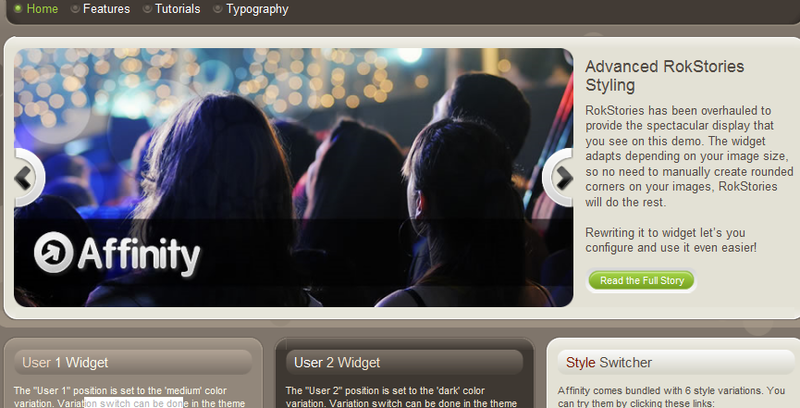 Has a pretty cool slider and is social media ready too. 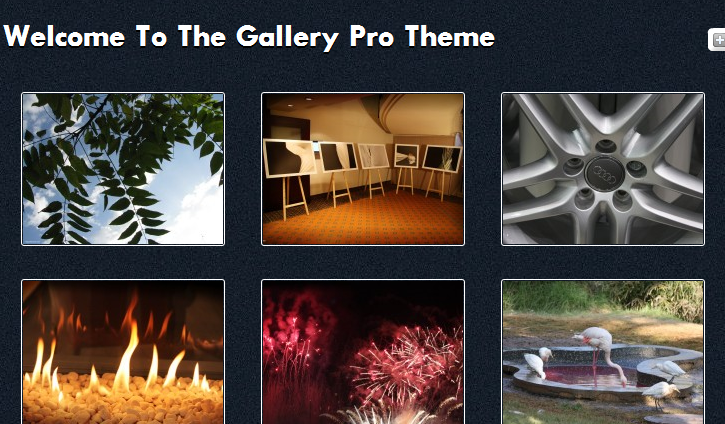 Affinity Theme: a very flashy and powerful community theme for WordPress. 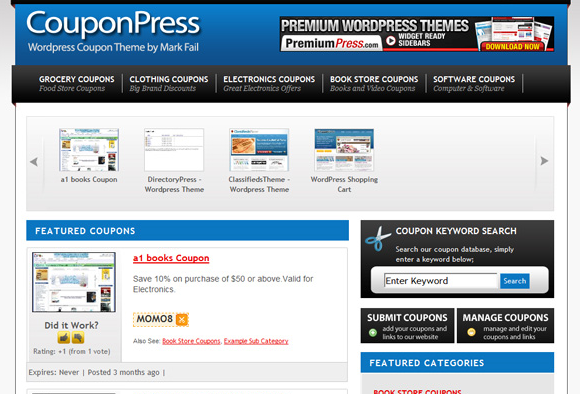 It’s compatible with BuddyPress too and is SEO friendly. 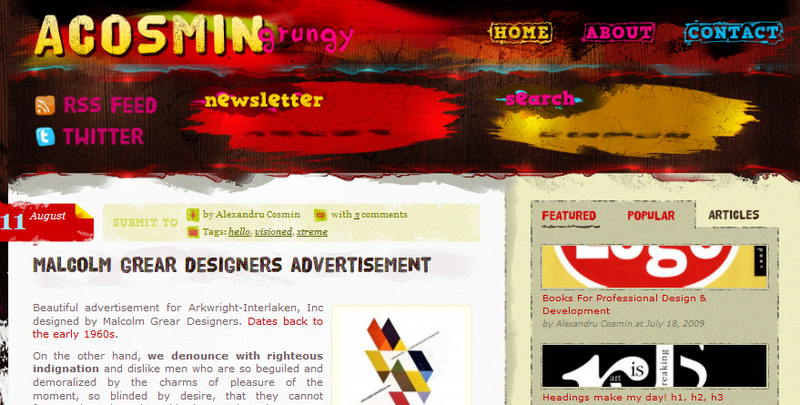 AcosminGrungy: a grunge style theme for WordPress that quite colorful and can be used for personal or professional blogs. Pretty eye-catching. 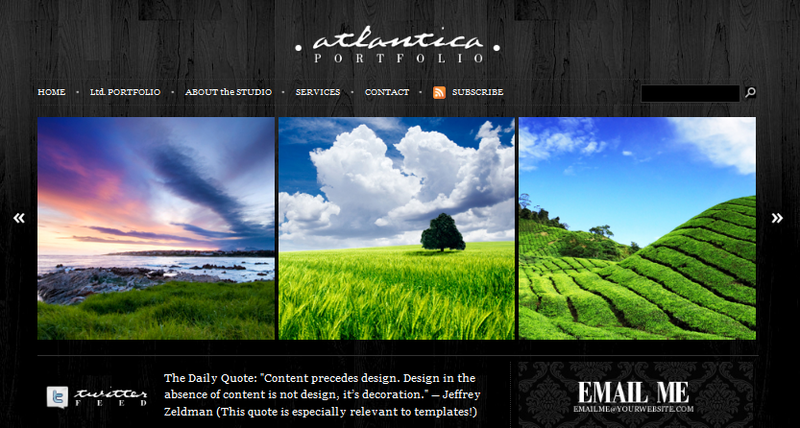 Dark Atlantica: a pretty dynamic portfolio theme that can be used for other types of websites as well. Comes with 6 color schemes. 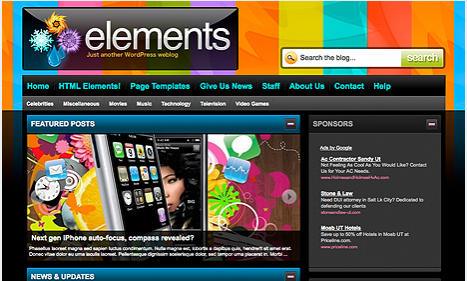 gForums: an affordable and very unique WordPress theme that turns your website into a fully-fledged forum. Very easy to customize and a great solution for small forum boards. 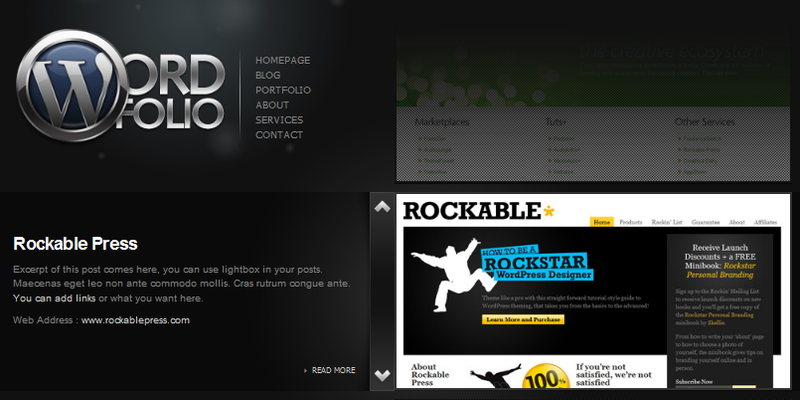 Wordfolio: a pretty clean and fun theme for WordPress that transforms your website into a portfolio. The showcase is pretty awesome.